The soft green glow and curious branding is a welcome relief from the more obvious pseudo-speakeasy vibe the bar could’ve gone with. Formerly the booze of preference among secret agents and old ladies, gin is undergoing a renaissance of sorts, which means it was only a matter of time before an enterprising Portland bartender tried his hand at devoting an entire brick-and-mortar to the clear liquor of the moment. At Botanist (1300 NW Lovejoy St., 971-533-8084, botanistbarpdx.com), that's Robbie Wilson, a veteran mixologist whose recent stint at Urban Farmer found him taking a marked interest in spreading the joys of juniper berries to bargoers west of the Willamette. 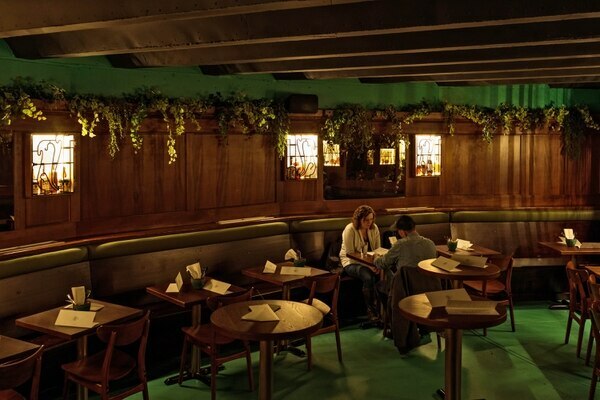 Located beneath the now-defunct Office Depot at the corner of Northwest Lovejoy and 13th Avenue, Botanist maintains the subterranean charm of the former Pink Rose space while adding a sleek, woody art deco feel lifted straight out of The Rocketeer or Batman: The Animated Series. 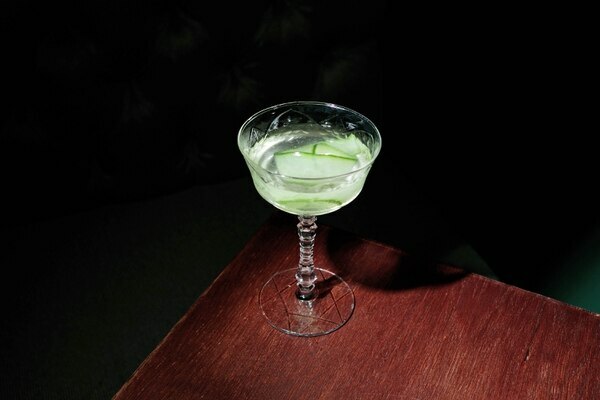 It's a curious direction considering gin's British roots, but the soft green glow and curious branding is a welcome relief from the more obvious pseudo-speakeasy vibe the bar could've gone with. 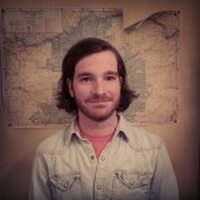 For those who know little of the details that distinguish one type of gin from another, the list of about a dozen $13 cocktails serves as a safe point of entry. If you'd prefer the gin do the talking, it's best to choose a drink with the fewest number of ingredients—drinks like the tequila, lime, honey and orange-dominated Rosary and the banana-lime Bananarama are a tad too busy to let the flavor of the base liquor pop. As basic as it is, the aptly titled Botanist G&T, which relies on Portland's own Aria Dry Gin and either Fever Tree or Q tonic for its effervescent bite, should be the go-to for anyone who's familiar with the timeless pleasure of a simple gin drink. Wilson did a commendable job transcending the requisite smattering of salty bar snacks most cocktail bars offer. Items like the poke wonton nachos ($11) and white fish ceviche ($13) complement the tang of the Botanist G&T, while the Korean barbecue chicken ($9) is enticing either on its own or in tandem with a Negroni or gin martini. 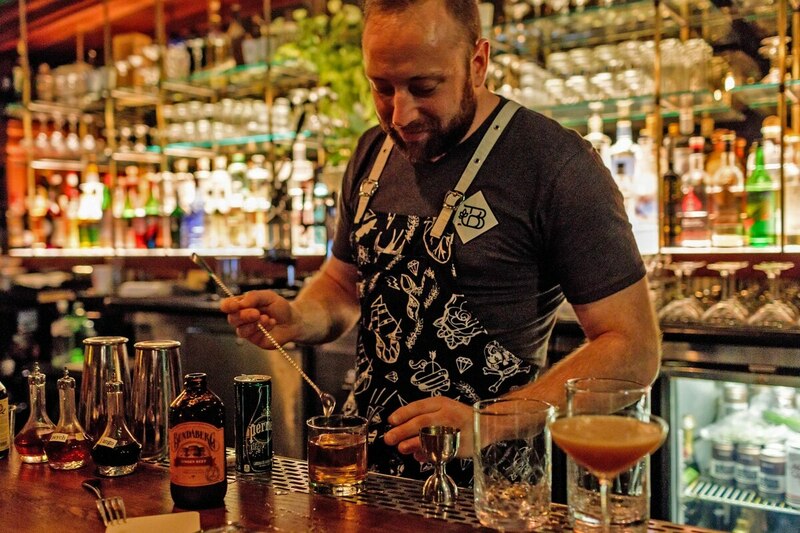 The staff is delighted to suggest off-menu concoctions that showcase the nuances of favored varietals, like the Hankie Pankie, which uses Fernet Branca to bring the smoky finish of Ransom Gin to the fore. The $17 price tag was somewhat alarming, but not unheard of at establishments like Teardrop or Vault, which have rather expansive gin offerings of their own. You'll need to take your bartender to task if you're seeking an experience that's divergent enough from what you'd expect at those spots—but it's not difficult to find a plate or beverage that makes a visit to Botanist well worth the trip.